What: Central Michigan University Research Corporation (CMURC) invites the media to the unveiling of the Uptown Bay City office location. The 5,000-square-foot location will provide space and support services for entrepreneurs, growing businesses, and corporate partners. Where: CMURC Bay, 122 Uptown Dr., Suite 203, Bay City, MI 48708. Topics: Speakers will update the media on the project, future goals and company vision. Attendees will also receive information on the Uptown Bay City development, CMURC?s programs, corporate partnerships and long-term resources for fostering entrepreneurism. Who: Speakers include: Erin Strang, President + CEO of CMURC; Dr. George Ross, President of Central Michigan University; Dr. Samuel Shaheen, President, and CEO of SSP Associates. 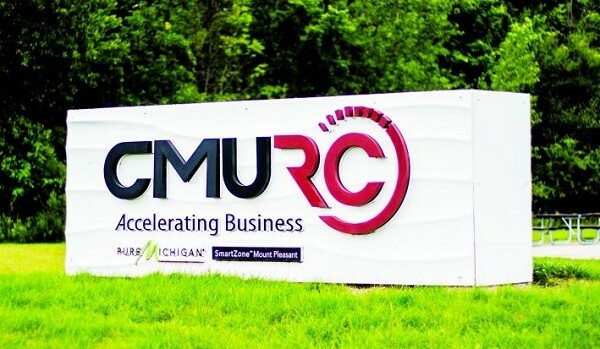 About Central Michigan University Research Corporation: CMURC is a nonprofit business incubator focused on advancing economic development in the community by leveraging the resources of Central Michigan University, the Mount Pleasant SmartZone, and the Michigan Economic Development Corporation?s 21st Century Jobs Trust Fund. Local, regional, and statewide partners assist to accelerate the success of entrepreneurs, growing businesses, and jobs. CMURC is a single source of contact providing physical space and essential business services. CMURC encourages interaction and partnerships, which accelerates emerging organizations to develop their ideas and bring them to market quickly.